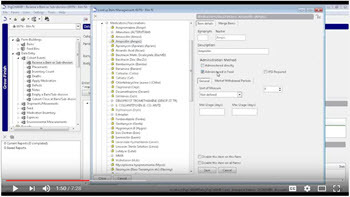 Lookup Item Management (LIM) is the "dictionary" for your PigCHAMP program. It allows you to personalize the program for each farm that you operate. Any items that show up in drop-down menus throughout data entry are created here and can be managed along with predefined items. 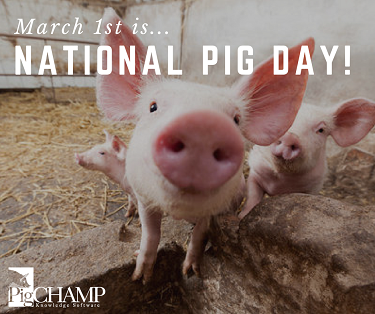 National Pig Day is just around the corner! We'd love to see how you're celebrating and share your photos on our social media pages. Post on our Facebook page, tweet at us or email us a photo and we just might share it! A big thank you to everyone who stopped to see us at one of our many winter trade shows this year! We're settling back into the office for the next few months, but we're far from being done for the year! Check out our events page so you don't miss any of the summer shows. Hope to see you there! Are you on our Benchmark Magazine mailing list? 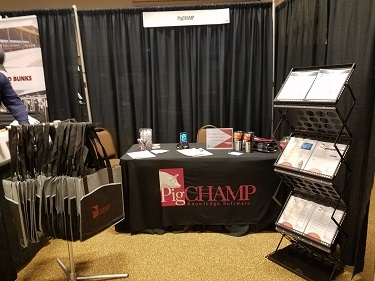 Benchmark Magazine is published each spring to highlight the annual results of PigCHAMP's Benchmarking program and features news, commentary and articles of interest written by pork industry experts. If you're not on our mailing list and would like to be added, please fill out this form and we will send you a FREE copy later this spring! Want to read a past edition? You can find them all posted on our website!